Journey to the Beginning of W.S. Waaaay back when the last issue of W.i.t.c.h. was published in Germany, I felt very unsatisfied as a fan. I loved and followed the comic series for years and then they let it end very unmagically with the whole "Will and Matt brake up only to get back together again" stuff. SERIOUSLY?! It was a couple years later that I discovered a website where someone had translated the missing issues from Italy into English. But until then my brain had thought hard on how I would've ended the series. The idea to make a comic never came to me because I always thought it was too advanced for me as an artist. Instead I started a sort of second generation, actually my second attempt on that but this time with more individuality. First it was called JROCK, then Voices of Ilya but I noticed it was just a means to try and come up with something worthy and W.i.t.c.h.-like and it felt cheap so I dropped it. Same goes for a few 2-panel-per-page comics I worked on briefly. 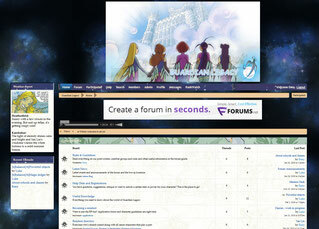 Then I made an RPG Forum where people could create their own adventurea within the W.i.t.c.h. realm, wrote some story and researched a lot but - as quick as I build the thing, it was plain dead so I merely kept it around as a research pool. Good idea, wrong execution. About 2 years back I think, I finally successfully worked on my first comic ever. Silhouette Chronicles. Suddenly I realized: Hey, I can do comics if I put my mind to it! Simultaniously I researched a lot on the comics simply for my own pleasure, in-depth analysis and collection of knowledge from the 139 issues. It's by far not finished yet but I learned many cool things I never noticed before! Anyway somewhere along the way I decided to give the comic a go after all. 2017 the first strokes were made for the W.i.t.c.h. Sovereigns comic series.